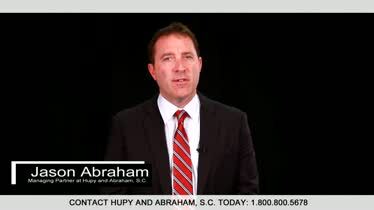 Negligent Security Lawyers Wisconsin | Hupy and Abraham, S.C. Were You Hurt Because a Wisconsin Property Owner Provided Negligent Security? You thought you were safe….until you were attacked. Now what? Now, it may not be just the person who attacked you who is legally responsible for your injuries. The property owner or manager may also be legally responsible to pay for your damages and may have the insurance or assets to compensate you even if your attacker does not. 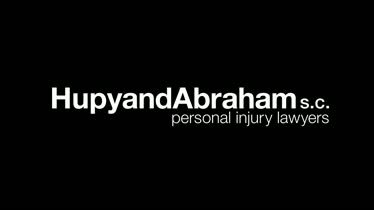 The personal injury lawyers of Hupy and Abraham aggressively pursue financial damages in negligent security cases to get our clients the compensation they deserve and to make the communities of Wisconsin safer. We have a free book available for you to download, Negligent Security: What You Need to Know About It, and a lot of information available on our website so that you can learn more about your rights with no obligation or cost to you. The person who attacked you is the one who caused your injuries. However, would that person have been able to attack you if there had been reasonable security measures in place when you were attacked? Inadequate staffing. Security guards or other staff members may be reasonably necessary to protect you on certain types of property. Inadequate training of staff. Any staff member responsible for providing security must be adequately trained. Inadequate lighting. Dark places may make it easier for attacks to happen. Inadequate fencing, locks, or other barriers. Fencing, building locks, and other barriers such as security checkpoints may keep would-be attackers off of the property and keep you safe. The specific security that is reasonable at each location is dependent both on the location of the property and how the property is used. Parking lots. An attacker may hurt you while you are walking to your car. You may have a negligent security claim if the property owner failed to provide reasonable security in the parking lot. Bars or nightclubs. Fights may break out in bars or nightclubs. Property owners should anticipate this occurrence and provide reasonable security measures to protect patrons. Apartment buildings. Many people come and go in apartment buildings and building owners should provide reasonable security in all common areas. Colleges. Colleges and universities should take reasonable measures to protect students, staff, and authorized visitors. This may include, but may not be limited to, controlling access buildings, providing adequate nighttime lighting, and other measures. Schools. Preschool, elementary, and secondary schools also have a responsibility to keep students, staff and authorized visitors safe. This may include, but may not be limited to, keeping school doors locked and requiring personal identification to enter the building. Stores. An attacker may hurt you inside or just outside of a store. Property owners can prevent some attacks by having reasonable security measures in place and by knowing what to do if an attack does occur. Hotels. 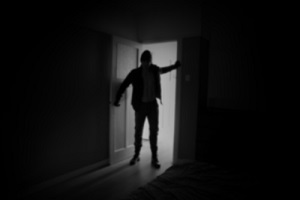 Late night—or middle of the day—attacks can occur in any area of a hotel. Hotels have a duty to provide reasonable security, including adequate locks on hotel room doors and security measures in common areas. Banks. 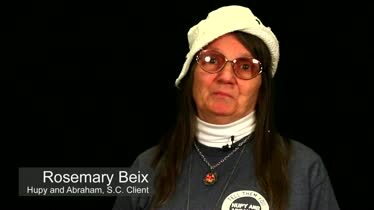 Banks have a duty not only to protect the money in each branch, but also the people who use the branch. This may include trained staff, security cameras, and other security measures. Of course, this list is not all inclusive. Any time any property owner fails to provide reasonable security a significant injury may occur. Brain and head injuries. This can result in a traumatic brain injury that changes your life forever. Spinal cord injuries. A spinal cord injury may result in partial or complete paralysis, depending on the part of the spinal cord that was hurt and how it was injured. Broken bones. Any bone may be broken in an attack. Your recovery will depend on the specific bone that was broken, the severity of the break, and your overall health. Post-traumatic stress disorder. Being attacked is traumatic. Post-traumatic stress disorder is a medical condition that may interfere with your daily activities. Sexual assault injuries. A sexual assault can result in unique, painful, and emotionally difficult injuries. Gunshot wounds. A gunshot wound can be painful. The resulting injury depends on what part of your body was shot. Death. Death can result from many of the injuries listed above and may leave an entire family grieving. If you have suffered one of these injuries or if your loved one has been killed in an attack on a property without reasonable security, then you may be able to recover damages. Medical expenses. This includes all of your healthcare costs such as hospital stays, surgeries, doctors’ visits, medications, and any other medical expense necessary for your recovery. Out-of-pocket costs. Out-of-pocket costs include things such as transportation costs, child care costs, and help around the house that you did not need prior to your attack but that you do need now. Lost income. Any salary, wages, fees, benefits, or other work related revenue that you lose due to your injuries is compensable. Pain and suffering. Your physical pain and emotional suffering are among your greatest losses after a negligent security attack and should be compensated. Together, the recovery of these damages can make a significant impact on your recovery and your future; however, the recovery of damages is not automatic. You will have to fight for them. How property insurance applies to your case. The property owner’s insurance may cover your damages if you are hurt in a negligent security incident. 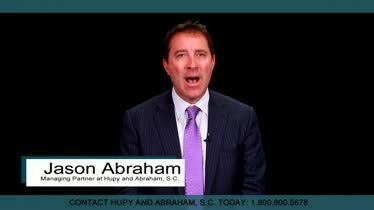 This may be important because the person who attacked you may lack the financial resources to pay for your injuries. How to report your attack to the police and property owner. You should promptly inform both the property owner and the police of the attack. However, you should not offer any opinion as to why the attack occurred. Simply report that the attack happened, where it happened, and when it happened. Additionally, you can provide a description of the attacker, if possible. Things to avoid doing so you don’t accidently hurt your claim. Certain things, such as a delay in reporting the accident or getting medical care, may hurt you. Why you should pursue a civil negligent security case even if there is a criminal case pending against the person who hurt you. A criminal case may punish your attacker, but it will not result in a financial recovery for you. A civil case, however, may result in your financial recovery. How long you have to file a lawsuit. 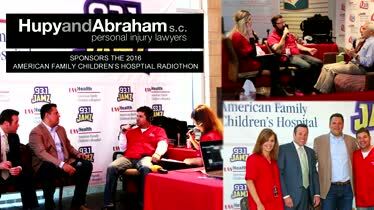 The Wisconsin Statute of Limitations gives you three years to file a personal injury lawsuit; however, there are benefits to filing a lawsuit sooner. Whether you have standing to sue. If you have been hurt in an attack, if you are the legal guardian of someone hurt in the attack, if you are the personal representative of the estate of someone who died in the attack then you may have the legal authority to start a negligent security or wrongful death claim. How expert witnesses can help you. Expert witnesses may be important to proving what reasonable security should’ve been in place at the time of your attack, how badly you were hurt, or the value of your damages. How settlements work. Settlements require negotiation with the insurance company, the presentation of evidence, and persuasive argument. How to start a lawsuit. Your lawsuit officially begins when you file a complaint in court, and that complaint must meet certain legal requirements. And it is important to know how a negligent security attorney can help you secure a fair recovery during this stressful time. An experienced attorney can make sure that all of your rights are protected, that all relevant evidence is gathered, and that you get the fair and full recovery that you deserve. You have already suffered enough because of someone else’s negligence. Let us help you with your recovery. Call us directly at 1-800-800-5678 to schedule your own free, no obligation consultation today.